Email has come a long way since the first electronic mail system was developed and launched in 1971. Innovations such as email marketing allows companies to reach thousands of consumers at the touch of a button. Even more so, with the development of marketing automation, companies can personalize their messages based on user activity and interaction with their online platforms. 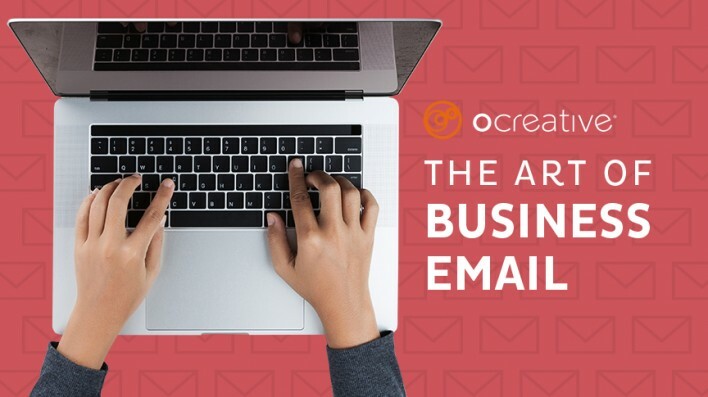 There’s no doubt that customer-facing email marketing is crucial to the health of most businesses, but with all our attention focused on the consumer, have we forgotten the importance of email communication between business partners? According to a 2017 survey by Radicati Group, Inc, a Technology Market Research Firm, the average office worker receives 121 emails a day and sends around 40 business emails a day. Moreover, Constant Contact, a vetted email marketing platform for small businesses, notes that 72 percent of people prefer email as their source of business communication. Because email is such a prevalent communication tool both internally and externally, it is important to take the same level of care, and be just as thoughtful in emails to clients and business partners, as customer-facing communications. Here are three easy tips to remember to unify your business message and align your internal communications with your external brand presence. 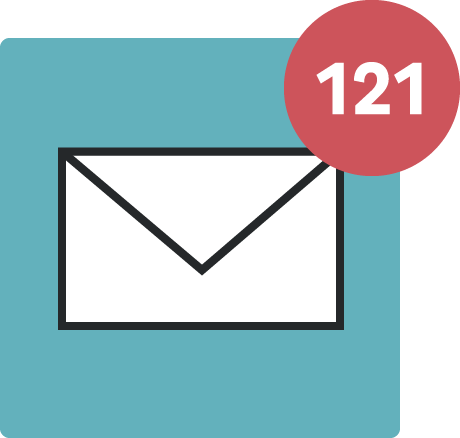 1 – Keep your email subject line clear, concise, and consistent. 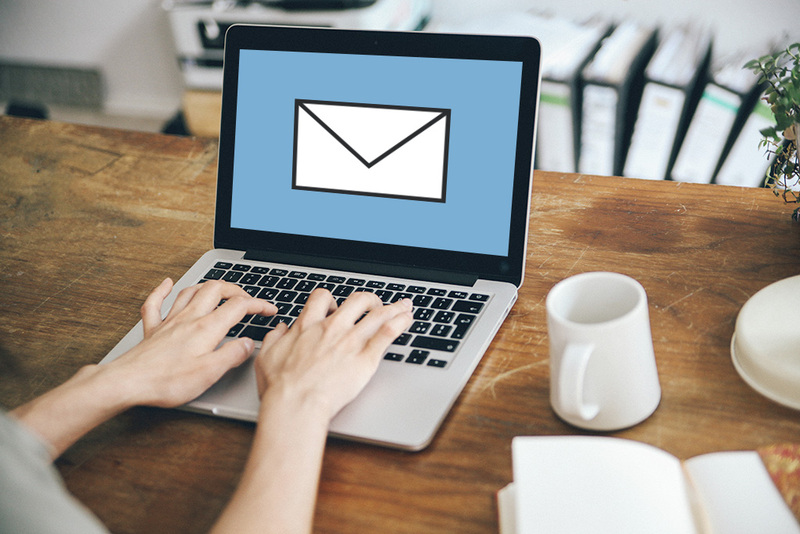 Because your business partners and colleagues send and receive multiple emails daily, it is important that your email subject line reflects the body of your email accurately and efficiently. It should be concise with relevant keywords to ensure your email is easily searchable. 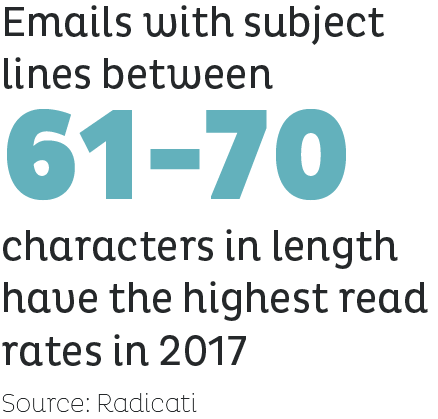 According to the Radicati survey mentioned earlier, emails with subject lines between 61 and 70 characters in length have the highest read-rates among all emails sent in 2017. 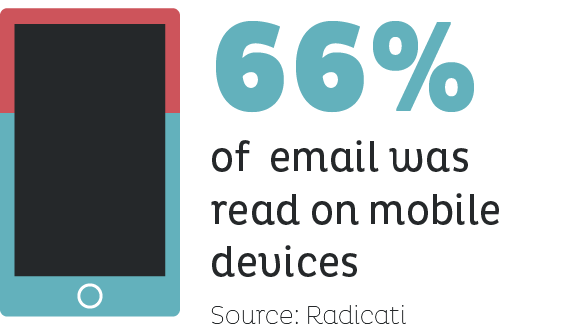 Furthermore, 66 percent of emails were read on mobile devices. Because it is likely that your business partners and coworkers are on-the-go, in meetings, and working from home, a clear, concise email subject line that appears fully on a mobile device is key to notifying the recipient of the content of the email, pending action items, and the required response. By creating a basic template, your business partners and coworkers will learn what to expect from your communications. They will be able to easily search for, and identify, important threads, therefore cutting down on back-and-forth clarification and allowing them to respond to you more quickly and effectively. The best way to avoid any conflict regarding the context of email communication is to carefully manage the tone of your communications at the start of your relationship with the recipient. Frequent changes in tone and reactionary writing can easily distract from the intent of the email and create a very different and difficult situation. While everyone’s tone is slightly different, we recommend that all communication remains easy-to-read with concise sentences. Avoid using frivolous punctuation and formatting such as ellipses, multiple exclamation points (especially in negative situations), using all capital letters, excessive bolding or highlighting, and use of pictures or gifs (unless relevant to your content). In short, stay aware and don’t throw any curve balls. If you notice patterns such as lagging response time, short or passive aggressive responses, or no response at all, review your writing style. Swink suggests you should “Compose your email recognizing that the receiver may not be in the same mood or emotional state as you. Try to imagine how the person receiving the email could interpret it.” Improving your tone is a simple and effective way to build professional relationships. In the same vein, if your business partners and coworkers are used to a certain tone and format and they are positive and responsive, stick with it. Even if you are responding to a negative situation, write your initial email, step away, and come back to it later. Re-read and amend your content and punctuation. If you are unsure, have a neutral third party review your email and provide feedback. It may sound time-consuming and you may want to make your point, but once an email is sent, you cannot take it back. 3 – Highlight action items and provide clear requests and deadlines. Finally, keep it short and simple. Fast Company, a monthly American business magazine focusing on technology and design, notes that you can increase your response rate by keeping emails between 50 and 125 words long – but it is not just about the length. Fast Company also notes that emails written at a third-grade reading level are considered optimal, with a 36 percent boost in response over emails written at a college reading level. Keep your sentences short and use clear and concise words, especially when dealing with new colleagues or business partners. The key, however, is not to confuse clear, concise, readable text with condescension. Remember: you want your recipients to respond and complete your request, so be polite. If you are unsure of the readability of your email, use online tools like ReadabilityScore.com to keep you on track. Having an email signature is like handing a person a business card every time you send an email. You want it to look professional and show your company’s personality. You wouldn’t just hand a prospective client a scrap of blank paper with your contact information scrawled on it, would you? No way! Email signatures can be an extremely valuable tool and very simple to implement. For more information on email signatures, check out our article: The Importance of Email Signatures. Just as we spend time nurturing relationships with our customers, tirelessly reviewing communication and tone, so we should follow suit with our colleagues and business partners. The people you work with are just as important as the people your business serves. Create a subject line template, be aware of your tone, and highlight your requests to ensure a fast and effective response from your recipients. Taking the extra time to write these communications can reduce back-and-forth clarification, save valuable business relationships, and contribute to a polished and professional reputation. Ocreative is a Milwaukee marketing agency, with expertise and broad experience developing clients’ digital marketing strategies and growing their online presence. Ocreative develops and executes email signatures for any size company. Our core values include offering the highest level of customer service, award-worthy quality, and performance that surpasses client expectations. Ocreative is located just outside Milwaukee and works with clients locally, nationally, and globally. Their clients have access to some of the most fun and knowledgeable professionals around—those who inspire, educate, and problem solve. The agency provides marketing and brand strategy, advertising and design, website design and social media, and video expertise to their clients, fulfilling their desire for business growth and their aspiration to make a mark on their industry.